This article is about the musician. For the classical composer, see Johann Sebastian Bach. 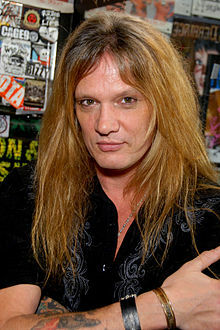 Sebastian Bach was born in The Bahamas and was raised in Peterborough, Ontario. At one time, he lived in Red Bank, New Jersey. [not in citation given] In August 2011, his New Jersey home was damaged by Hurricane Irene and declared uninhabitable. Several KISS and Skid Row artifacts (including Skid Row master tapes) were in the house, but none were damaged and his father's art, comic books, and the KISS gargoyles from their 1979 tour were salvaged. Bach began dating Maria Aquinar in the mid 1980s and the couple had a son, Paris, in 1988. Bach and Aquinar married in July 1992 and had another son, London, in 1994 and a daughter, Sebastiana, born in 2007. The couple divorced in September 2010. In December, Bach began dating model Minnie Gupta and the two were engaged in April 2012 but ended things in late 2014. On December 28, 2014, Bach became engaged to Suzanne Le after dating for two months. Bach and Le married in August 2015, and they currently reside in Los Angeles, California. 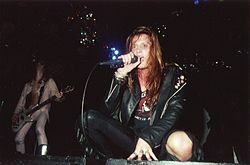 Wikimedia Commons has media related to Sebastian Bach.